Mother Nature reigns supreme in the beautiful mountain towns of Blairsville and Suches. Nestled in the Chattahoochee National Forest and North Georgia’s Blue Ridge Mountains, Blairsville - Union County is an oasis for every outdoor activity imaginable. 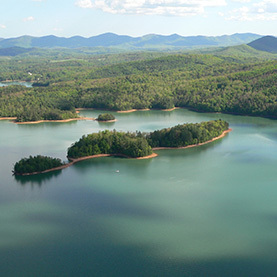 From mountain biking to pickle ball, golf to water sports, Blairsville is packed with fun for every member of the family. It’s so much more than just a little mountain town! So what are you waiting for? The mountains are calling! Winter is a beautiful time to unplug and relax in the mountains. Enjoy our local wineries, restaurants, shopping, and spend time reconnecting with friend and family. 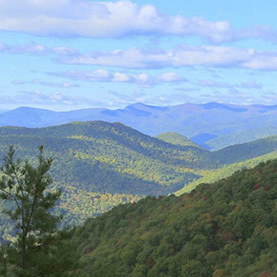 Located in the beautiful North Georgia Mountains, Blairsville - Union County offer a unique mountain getaway with an endless number of activities to enjoy! Hike, bike or cycle your way to some of Georgia’s most beautiful landmarks, like Brasstown Bald, over 80 miles of the Appalachian Trail and the only portion that passes through a man-made structure, and Vogel State Park. Water lovers rejoice with lakes, creeks, rivers and waterfalls all in Blairsville-Union County. Enjoy motorized water sports on Lake Nottely, with easy boat access at the Nottley Marina. Kayak, canoe or paddle boat on Lake Trahlyta, Lake Winfield Scott or Nottley River. Try out the canoe launch at Meeks Park! Hike to one of our beautiful waterfalls, like Helton Creek Falls or Trahlyta Falls. 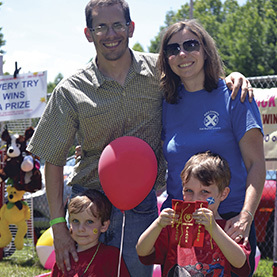 Blairsville-Union County welcomes you for family fun all year long. Explore the mountains and enjoy one of our many festivals held throughout the year. Grab a hot dog and some cotton candy and enjoy one of the thirteen festivals held in Union County each year. From Sorghum to the Scottish highlands and mountain heritage, each festival offers something unique for the whole family.